Recent additions to the Web. Reflections of a beautiful sunset and clouds are broken by few birds taking flight from the calm waters of Bolsa Chica wetlands in Huntington Beach California. 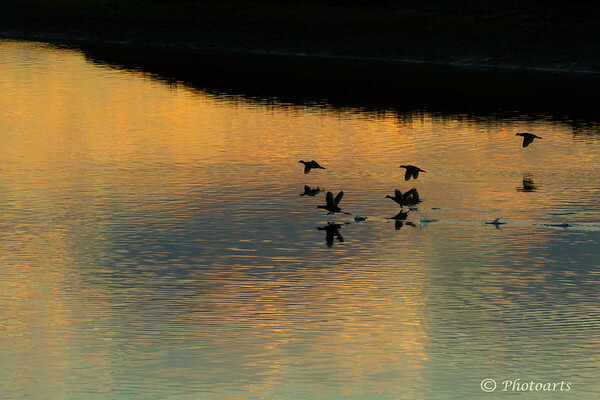 Lovely light and color in this sunset shot--the flying ducks make it extra eye catching.